Looking for a court reporter in Cleveland, Ohio? Whether you need a court reporter for a half-hour fender-bender, soft tissue injury deposition, or a three-week FINRA arbitration with daily final transcripts, wireless and remote realtime, and immediate rough drafts, the court reporters at Cleveland Reporting Partners, LLC have you covered, and have experienced it all before. With our combined 45 years of experience, no case is too tough, yet no case is less important to us than any other. 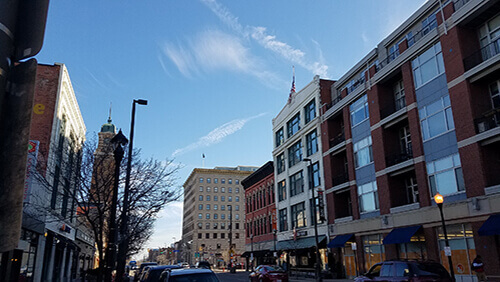 Located in the heart of Cleveland’s Ohio City neighborhood, CRP is just 10 miles inbound from Cleveland Hopkins International Airport (CLE), and a five-minute drive from Cleveland’s downtown central business district. 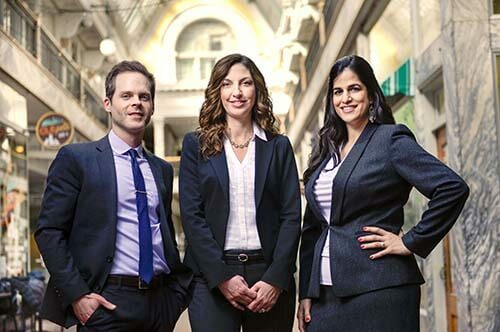 With over 45 years of combined court reporting experience and decades of providing state-of-the-art legal video service, our team of court reporters and legal video specialists have all your litigation support needs covered. Our court reporters are trained using the latest technology to ensure that every transcript you receive is 100 percent accurate every time, no exceptions. We understand that your cases are extremely time-sensitive, and our reporters will always deliver your transcripts when you need them, no matter how demanding the turn-around time. CRP court reporters believe endurance is just as important as the final transcript. To learn about the first-class services we offer, check out our Court Reporting and Legal Videography pages, and count on CRP to be your away-from-home court reporters and litigation support partner every time your cases bring you to Cleveland, Ohio. Need a conference room while you’re here? 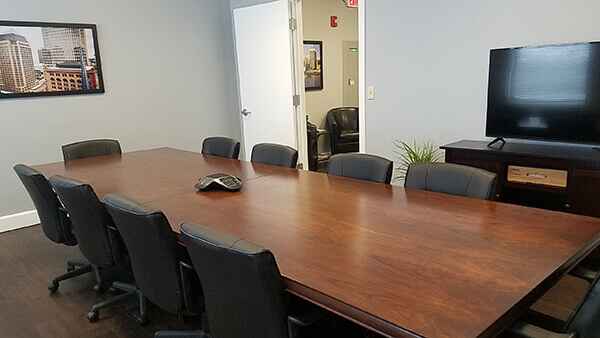 Our office has multiple conference rooms, and we offer complimentary valet parking just steps away from our building entrance. 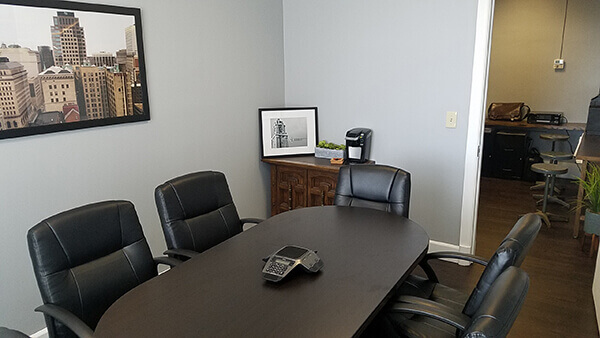 With countless restaurants, coffee shops and delis within walking distance, CRP is the perfect location to host your next deposition or arbitration. Check out our Cleveland neighborhood and offices! Cleveland Reporting Partners is my only choice for court reporters. Christine, Grace, and Todd are “second to none” as far as accuracy and responsiveness. I recently took a deposition on a Wednesday morning prior to a Thursday morning trial. Not only did CRP quickly and accurately prepare the transcript, it was filed before I even returned to my office following the deposition. Friendly, courteous, professional, CRP is a must on all my cases anywhere in the State of Ohio. My experience with Cleveland Reporting Partners has been nothing short of excellent. The team is professional, efficient and extremely diligent. My experience with CRP has been excellent. The customer service, from the initial phone call of scheduling the deposition, through receiving the deposition transcript, is amazing. Their reporters are timely and will accommodate any need, whether it be a location far away or needing a transcript turned around immediately – they do it! Their on-line support system (CRP Direct) is wonderful and very user friendly. When I am responsible for scheduling the court reporter, my number one choice will always be Cleveland Reporting Partners. As a Legal Assistant at Cohen Rosenthal & Kramer LLP in Cleveland, I frequently have the opportunity to work with Cleveland Reporting Partners. I’m always impressed by Grace and her team. They make it effortless to schedule reporters for depositions, have excellent attention to detail, and are very reliable. Highly recommended! Experienced, professional. 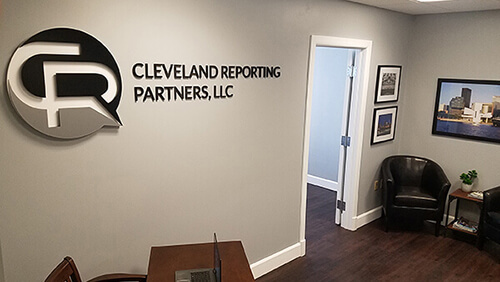 It is a pleasure working with CRP, they are an outstanding addition to the reporting community in Cleveland, Ohio. The people at Cleveland Reporting Partners are absolutely the best! They are fast, friendly, helpful and we never have to worry about anything when they are doing the court reporting. They are definitely the kind of company you want behind you in a deposition! Cleveland Reporting Partners are innovative, hard working, professional individuals that through their hard work shine out from the rest! Thanks for your excellence!